Brake pedal feeling a bit soft or spongy? Stoptech Stainless Steel Brake Lines provide a quicker, firmer and more consistent pedal feel...even as brake temperatures rise during towing, racing or performance driver. Consistent brake pressure, controlled by the brake pedal, means a higher precession of brake modulation so you can "feel" your brakes more and slight adjustments to the pedal will transfer directly to the brake caliper. Ideal for optimum performance. Stoptech® Stainless Steel Braided Brake Lines provide improved brake pedal feel and vehicle braking performance. Each brake line set is pressure tested to 3000psi and is guaranteed leakproof. 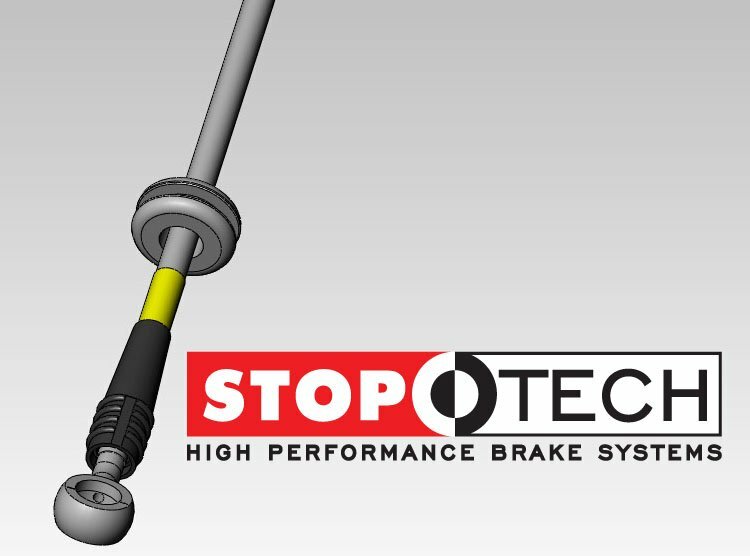 StopTech® brake lines consist of a PTFE (commonly referred to as Teflon®) inner line that carries the brake fluid, which is then covered with a layer of stainless steel woven braid. The PTFE tube is very resistant to expansion under pressure and will not degrade from exposure to brake fluid. A variety of end fittings are available to meet most brake application needs. All fittings are engineered for proper fit and durability. All necessary brackets and fasteners are included with each line kit. StopTech® brake lines consist of a PTFE (commonly referred to as Teflon®) inner line that carries the brake fluid, which is then covered with a layer of stainless steel woven braid. The PTFE tube is very resistant to expansion under pressure and maintains integrity with exposure to corrosive brake fluid. 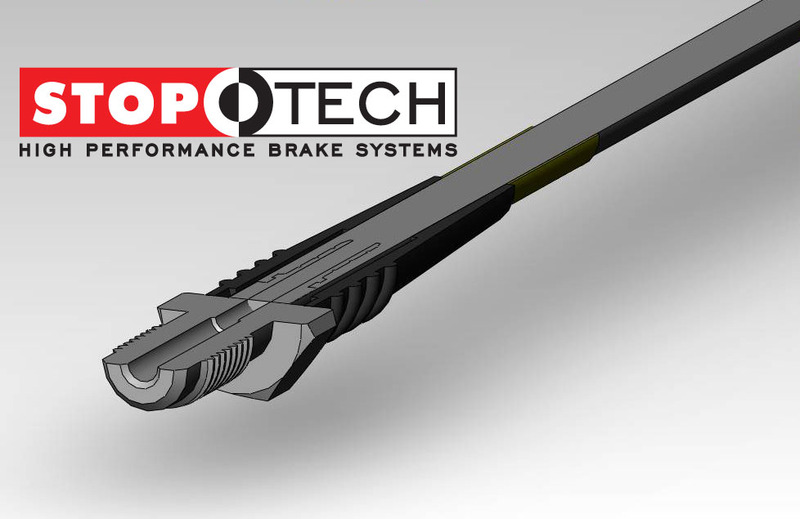 Stoptech® braided brake lines protect against the elements of harsh driving conditions.